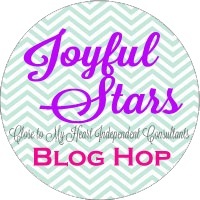 Welcome to the Joyful Stars September Blog Hop. I hope you enjoy all the beautiful projects along the way. If you have come from Nancy's Blog then you are on the right track. Now that the new Annual Inspirations and Holiday Expressions have been unveiled, of course my projects are made with some brand new products! Both cards use the new White Pines Paper Packet and the new CTMH Exclusive Artistry Cricut Cartridge. There are over 700 images on this cartridge and the images are absolutely fabulous! If you would like to have a look at all the images, simply click HERE to go to my website for the Shape Index. The first card is Faux Swing card. It uses the shape image on page 48 of the booklet. The second card is made using the snowflake cut at 2" on page 49 of the booklet. It is the layer shift image. 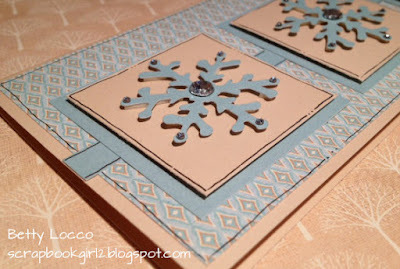 It uses the beautiful glacier background and texture paper. The card measures 8 x 3 1/2" and the card base is Champagne cardstock. 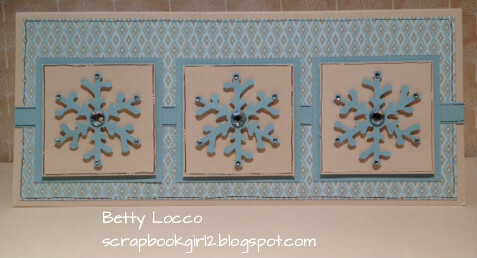 Here is a peek at the detail - the snowflakes are raised using mounting tape - it was a bit tedious but I really like the dimension the mounting tape created. Thank you for joining us this month. Be sure to stop back next month for another Joyful Stars hop. Now it is time to hop on over to Krista's Blog to see her beautiful creation. Sorry Crystal, I'm running a crop that day or I would love to come. It would be great to see everyone too! That faux swing card is wonderful! I need to try to make one too! Your cards are great! I can't wait to start playing with that paper packet. 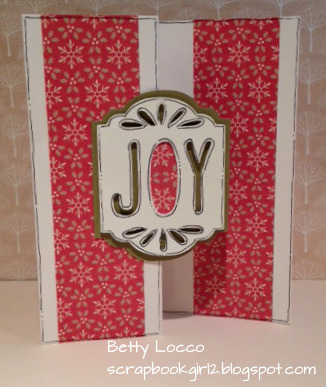 Beautiful cards, Betty! 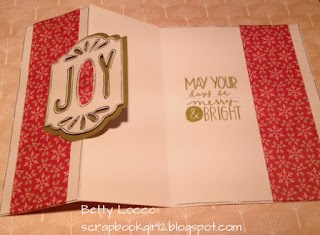 I like them both and can't wait to get my White Pines paper pack after seeing your fabulous cards. Thanks for the inspiration! Lovely cards. You know I like the first one best.